Belgian Distributor The New Flemish Primitives is delighted to announce two local commissions for their MIPTV hit format Hotel Römantiek in Germany and Spain. Launched in Belgium on Vier (SBS) in February 2017 with ratings consistently 70% above the slot average in the 18-54 demographic, a second series was quickly confirmed. Rights have been granted across Europe, US and UK prior to and following the premiere. In Germany the series will be produced by SEO Entertainment for Sat1 (ProSiebenSat1. Media Group), with casting commencing now. In Spain, Banijay owned-DLO Producciones will produce for public broadcaster TVE. Both series will be line-produced in Switzerland by Format owners Woestijnvis. 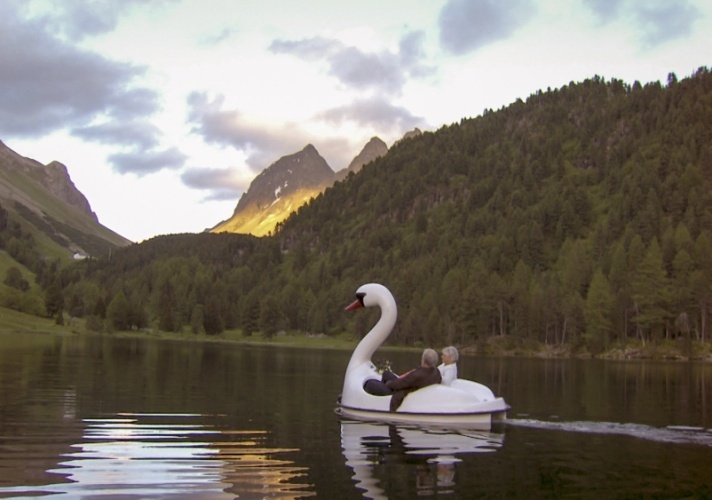 Hotel Römantiek sees a group of seniors in search of love set off on an unforgettable trip to Switzerland. The singles participate in different activities and every night one lucky couple is taken to a beautiful cabin in the woods for a romantic dinner. At the end of the series, we find out who will take the bus back home, and who will spend a few more romantic days with their new found love. After all, it is never too late to fall in love.